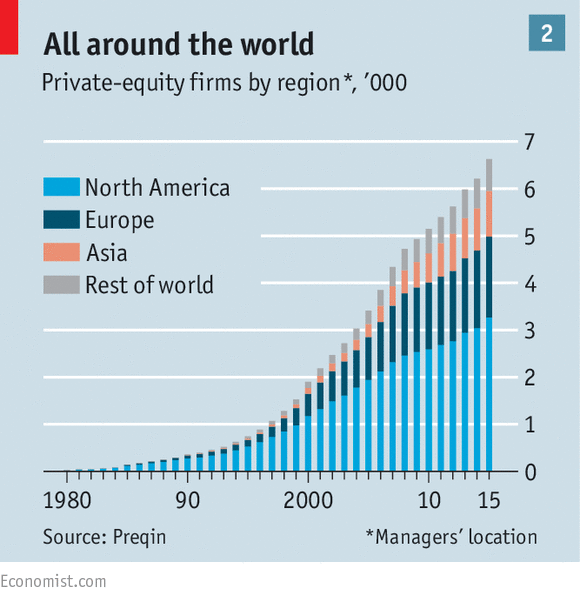 Raising a private equity fund is a natural progression for ambitious investment managers. Funds provide a more secure capital base, allowing for longer-term planning and scaling of an investment operation. Having discretionary, committed capital gives more flexibility to make quick decisions within opportunistic investing environments. A fund structure allows for a manager to access debt instruments that can enhance its range of investment opportunities. Managing investments under a fund umbrella provides more diversification benefits over single deal-by-deal investing. The strategy and operations of a fund should be thoroughly planned in advance. Unlike single investments, a fund must prepare for the ramifications that a set of investments can have on a portfolio as a whole, in terms of costs, cash flow, and profits. Thorough preparation of a fund’s strategy and commercial model will allow for you to undertake a number of scenario analyses to look at all possible performance outcomes. A detailed budget and schedule for investments will minimize the effects of having too much or too little cash on hand. The ability to follow-on with investments and the overall percentage return of the fund will depend on this. Planning the strategy and philosophy of the fund will also ensure that you can scale your human operations effectively. This will lower the time to onboard new staff and align them quickly with the goals of the fund. Be well aware in advance of the securities laws that you will have to adhere to. Before marketing to investors, it is critical to understand the type of investor and money that can and cannot invest in the fund. Different investors have different levels of sophistication, desires, and legal protections. Third-party agents can be used to help to raise funds. As with any kind of outsourcing arrangement, have all interests aligned and clear communication channels to ensure that your core message is being presented as you would intend. Legal work for raising a fund can cost between $50,000 and $300,000. This is a necessary cost, but it can be minimized by ensuring that attorneys are utilized efficiently. Have drafts clearly prepared and agreed upon, to lower any repetition of time spent with counsel. You do not necessarily have to invest your own money into your fund, but be prepared to make compromises in other areas of the fund’s economics, if you choose not to invest. There comes a time in many investment managers’ careers when the next logical step is starting a private investment fund on their own. Either the manager has been working for others as an employee and now wants to go solo, has been investing their own money and wants to raise outside capital, or has been investing with others’ capital on a one-off basis and wants to scale. Whatever the reason, in many cases, the right answer is to set up a fund. A fund can stabilize an investment business and help the manager not only grow assets under management but also create a valuable investment platform. Having a fund can provide a larger and more secure capital base for prospective investments, creating the ability to grow staff, resources, and profitability. In today’s competitive investment environment, a discretionary fund may also allow a manager more flexibility to operate and make decisions quickly, facilitating quick investment closings. A fund can allow a manager access to lines of credit or fund-level debt unavailable for one-off investments. Funds with multiple investments provide diversification benefits, both to the manager and investors. Many fund managers have built businesses and created substantial wealth through fund vehicles, and it might be the right next step for your business as well. 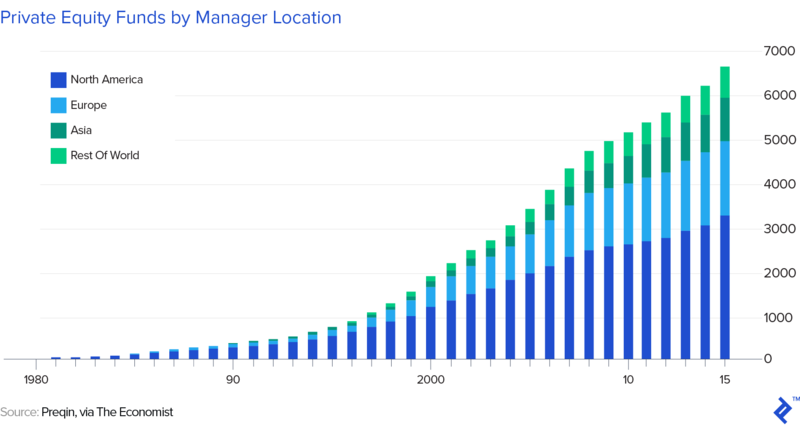 The growth of the number of private equity funds over the past decade corroborates that raising a fund is an increasingly popular path to take. All of that said, raising a fund requires a different mindset than managing money as an employee, as a personal investor, or through an informal syndicate. For a manager considering an investment fund, here is your primer on what to expect, what to think about, what questions to ask, and how to get it right the first time. Beyond making successful investments, one of the greatest challenges for a first-time fund manager is understanding the mechanics of a fund’s operations and profit model. Creating a complete and thoughtful set of pro-forma financials early on is the best way to ensure that you will be successful, not just at raising and operating your fund but also at making a profit. One difference to consider when raising a fund is that the profit model is often significantly different from single or even multiple syndicated investments. Separate investments are often straightforward—the manager can figure out what the likely results are as well as the fees and profits that they can expect. They can also quickly assess how much time and cost is associated with managing the investment and, therefore, project a ballpark net profit figure accurately. Also, if a single investment in a pool of many fails to work out as planned, it will not generally alter the profitability of other investments. Looking at the legal structure of a fund, there are many interrelated entities and directional flows of money that must be clearly understood before starting out. The image below shows an example of a typical private equity fund structure. In planning for a fund, a manager has to assess not only a specific investment which is immediately available for detailed evaluation, but also future investments that are neither concrete nor available at the time the fund is raised. This makes it much more difficult to make profitability calculations and comprehend the likely financial results of a fund’s operation. Moreover, the timeframe on which investments will be made can also be difficult to project. Given that investment profits and fees paid to sponsors in many funds are based on when investments are made and how they perform, it can be much more challenging to estimate a fund’s revenues up front. Costs are also a challenge to project relative to a single investment. Not only is it difficult to know up front the amount of capital that will be managed at any given time, it’s also difficult to estimate how many people will be needed to manage the investments and how much those people may cost. Beyond the challenges associated with projecting a fund’s profitability, the fund structure in and of itself can complicate matters. As most funds are cross-collateralized across their investments, a single investment failure can have outsized implications on the bottom line of a fund sponsor, even if the fund investors are ultimately satisfied with the fund’s results. The best approach to dealing with these issues is to design the fund’s commercial model carefully, accounting both for likely outcomes and understanding the sensitivities to changes, unexpected events, and shifts in the market. Another oft-cited challenge of managing funds is the ever-present issue of cash management. When making a single investment, the question of cash is usually uncomplicated. Funds are accessed when needed for the investment, never before. The question of holding cash reserves is typically limited to the manager, and the use of additional portfolio-level financing typically doesn’t exist. For funds, it is more complicated. Funds, by contract, need to manage cash carefully. First, there is the danger of having too much cash. Because most fund profits are structured around the time value of money, having cash on hand, even for reserves, reduces a sponsor’s profits. This is because the fund investors typically get paid for every fund dollar called and in the fund’s possession, whether or not that dollar is invested. Given that many funds make their profit by outperforming a baseline return rate, this reduced performance can end up coming directly out of the fund manager’s pocket. On the other side of the coin, funds need to concern themselves with having adequate reserves on hand to make follow-on investments, shore up or protect investments that are having challenges, and to cover unexpected costs that may come up during the fund term but after the investment period. 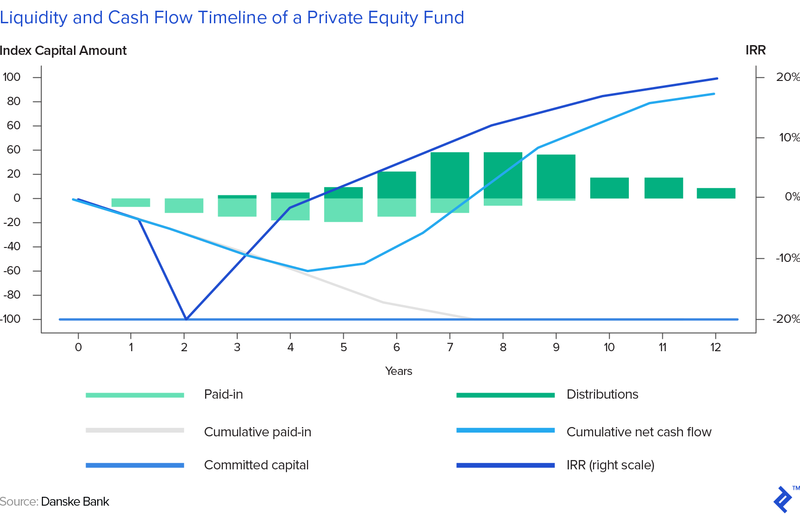 The chart below shows a timeline example of a private equity fund’s cash flows and the delicate balance that exists between capital drawdowns, distributions, and returns. As with revenue and profitability questions, having a well-developed cash management plan can help a fund manager avoid potential challenges and set themselves up for success. Another challenge for a new fund manager is setting the right investment criteria and planning for the fund. Outside of a fund context, an investor can pursue whatever they think will produce a good return, even if it is out of line with their historical investment strategy or their current investment plan. On the other hand, even though most funds have “discretionary” capital, most fund agreements contractually define the limits of that discretion. 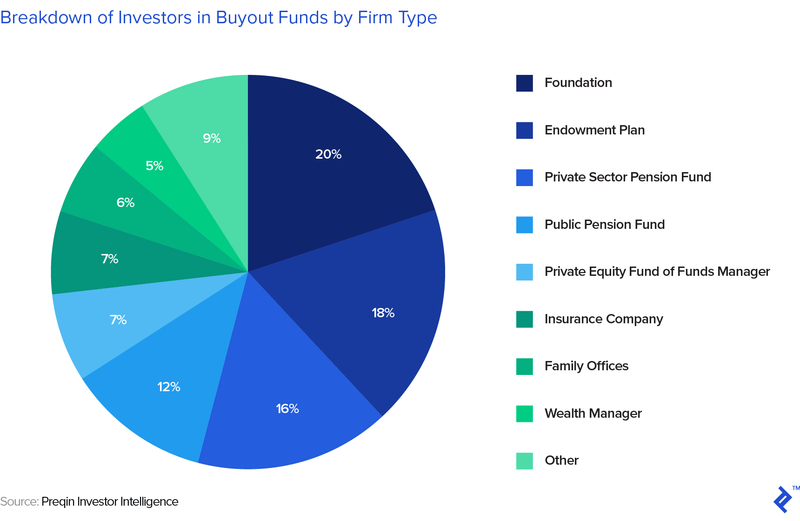 While fund sponsors will often try to ensure that the definition is broad enough to allow them room to operate, sponsors that push for very broad discretion often fail to attract investors. The reason is that investors prefer funds that are focused on a certain investment strategy or asset class and have a clearly defined area of expertise and focus. At the same time, too narrow a definition can be painful as well. The fund may end up foregoing good opportunities or becoming unable to place capital at all if the market shifts and its mandate no longer makes sense. Entangled with all of this is the type of investor the fund caters to and the degree of expertise and track record the sponsor brings to the table. A group of family and friends who have invested with the sponsor successfully many times in the past may trust it totally and give it wide latitude to choose investments, while an institutional investor may demand a very specific mandate or even require approval rights for every investment the sponsor makes. Therefore, establishing a strategy that is both achievable from an investment standpoint and salable to investors is a key aspect of a successful fund sponsorship. Operational issues are also more challenging in the fund context, where the task of identifying, evaluating, and managing investments is no longer one that can be handled by the manager alone, and having a professional staff becomes important. Staff allows for greater scale, but also becomes a management challenge as the professionals involved have to be properly hired, managed, and motivated. Often, there is also the challenge of effectively communicating the fund’s strategy, vision, and approach to making investments to new staff. What may have been a non-issue for a single investor or an established small team can become much more complicated and difficult when knowledge needs to be built into a process and philosophy that can be applied by a larger team—especially a larger team that may have had no part in developing the philosophy to begin with. If you plan to raise a fund in the United States, you may already know that private equity fundraising is heavily regulated and that there are numerous legal and regulatory requirements that an investor must adhere to in order to be in compliance with securities laws. The SEC takes this compliance very seriously and a qualified attorney needs to be involved in the fundraising process early to make you aware of the rules and regulations associated with fundraising, investing, and managing the fund. Here are the key questions to ask when your attorney proposes a structure. 1. Who will I be able to raise money from? Regulations offer various options for a sponsor raising money, primarily depending on and related to the type of investors, the type of marketing, and the amounts being raised. Typically, regulations create more hurdles and requirements for funds that intend to raise money from less sophisticated investors or where there is no prior relationship with the sponsor. The extreme of this is a publicly listed company that sells stock on an exchange to any member of the public—here, the requirements in terms of registration and public disclosure are the most stringent. Before marketing a fund, it is important for a sponsor to understand who will be able to invest, in what amounts, and what the sponsor will have to do to market to these investors properly and validate that they are appropriate investors. 2. How can I raise the money? In addition to understanding which investors can participate in a fund, a sponsor should understand how those investors may be approached to invest. Depending on the structure of the fund, a sponsor may be allowed to market the fund publicly or may be limited in outreach to only investors that the sponsor already knows or that meet a certain set of standards. This question can be further complicated if the sponsor hires a professional to raise funds, as they must ensure that it holds proper licenses to raise private equity on behalf of a third party. The sponsor will also need to think carefully about what the message to investors will be and how it will be delivered. It’s important to balance the need to market and promote the fund with scrupulous honesty about what investors can expect. Many an investor lawsuit has started when expectations were not set appropriately, and an overzealous sales effort up front can be costly in the long run. 3. What kind of money can be invested? Another concern is the type of money that a fund or fund sponsor can accept. There are a variety of restrictions in this area, but the two most common are investments from retirement accounts and investments from foreign accounts. Each of these areas creates downstream issues regarding the ways in which a sponsor can invest, manage, and report results to investors. Therefore, having a full understanding of the type of investor funds that can be part of the fund should be a key element of the marketing strategy. Speak with your attorney to learn how these choices may complicate or direct your efforts, both before and after the money has been raised. 4. How much will the legal work cost? Each fund is different, and each attorney is different, but you can expect to spend between $50,000 and $300,000 in legal costs to complete your fund, and often more. 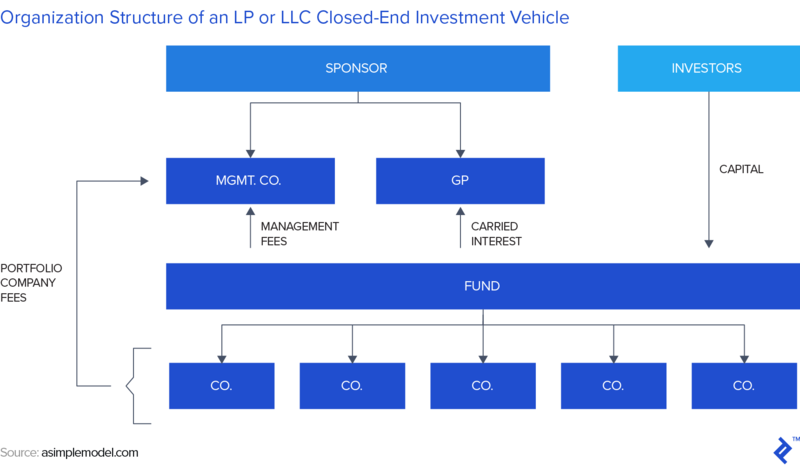 By limiting the exploratory phase of fund formation, a sponsor can focus their attorney’s time and effort on key compliance questions, avoiding expensive discussions and rewrites. Another strategy to control legal costs is to have your fund’s marketing materials and a draft of its investment strategy and cost structure ready for review as you begin the legal process. This will help an attorney not only understand more quickly what the fund is trying to accomplish but will also limit the time they need to spend reviewing and/or preparing fund documents. Raising a fund can take substantially longer than raising money for a single investment. Depending on interest from investors and the timeline to complete compliance requirements, a sponsor should expect to spend at least six months on a fund, and the process can often take more than a year from concept to close. A large or complex private equity fund can take even longer. What will investors look for? Investor expectations vary by sophistication, goals, and relationship to the sponsor. Large, institutional investors, for example, are highly concerned with an investor’s track record and experience. Going to those investors as a new fund can be difficult. Smaller, private investors may be less concerned with track record but more concerned with a level of personal trust with the sponsor or access to an investment class. A sponsor should conduct an honest assessment of the fund’s strengths and weaknesses from a marketing perspective and set targets accordingly. There are many different types of limited partners, ranging from large foundations and institutions to high net worth individuals. As the chart below shows, there is no overly dominant source of capital, and it is possible to be successful focusing on a variety of sources of capital. The key is to be selective and to target your plan, marketing message, and structure to your chosen audience. Do I need to put my own cash in? Investors are much more willing to invest in a fund if they know that the fund sponsor has capital invested along with them. That said, there is a range of expected fund manager investment levels depending on the fund’s structure, costs, management, and existing relationship with its investors. Nonetheless, if a sponsor is planning to make only a limited investment in the fund, that sponsor should be prepared to make concessions in other areas. Starting an investment fund of your own can be a profitable, useful step in building an investment business. However, an investment manager has many issues to consider up front before beginning the marketing and fundraising process. Doing this work before the fundraise begins will save significant time and cost, giving the fund the best chance of ultimately becoming successful. Similarly, having professional assistance from experienced consultants and attorneys can facilitate the fundraising process, making sure a sponsor develops a fund program that is attractive to investors, remains in compliance with the SEC, and performs a successful fundraise in the minimum amount of time. How do private equity funds raise money? 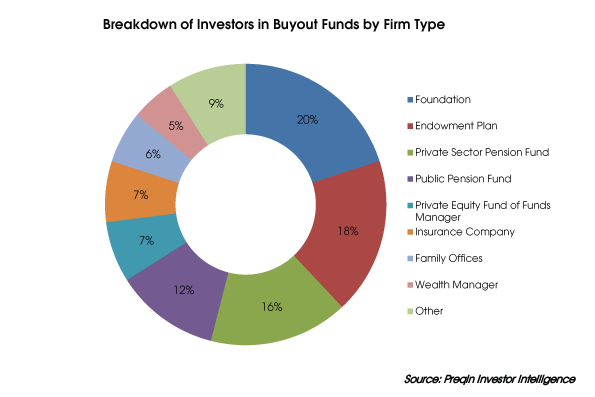 Private equity funds raise money from investors, who become limited partners (LPs) in the fund. These investors can range from large endowments to high net worth individuals. Commitments for investment from LPs are solicited through marketing roadshows.